--Supreme Court decisions on elements of fraud cases. 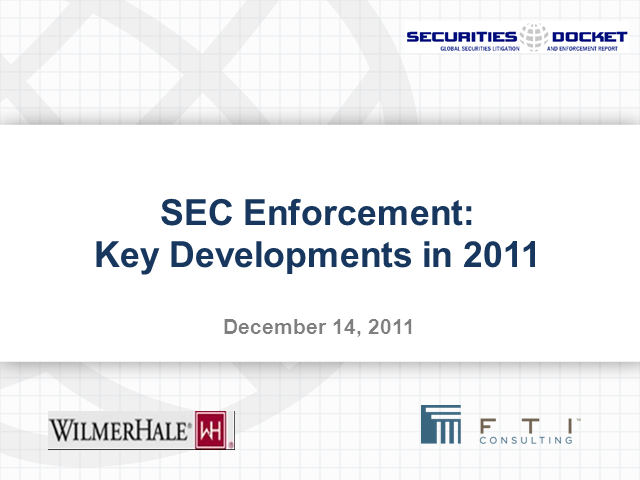 --Developments in the SEC enforcement process. --Developments in the settlement process. Please join panelists, Andrew Vollmer and Douglas Davison, securities partners at Wilmer Cutler Pickering Hale and Dorr LLP, and Marty Wilczynski, Senior Managing Director – Forensic Litigation at FTI Consulting, Inc., as they address these and other developments in SEC enforcement during a free, one-hour webcast.